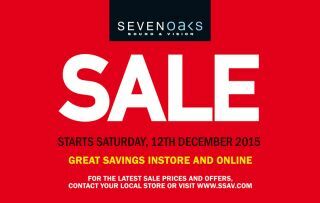 Promoted: The Sevenoaks sale starts Saturday | What Hi-Fi? Christmas, as we all know, is a time for getting. For receiving gifts, being bought food and drink, and letting others entertain us. For committing at least four (maybe five, if you include New Year’s Eve) of the seven deadly sins. Trouble is, to get, you must also give. Socks are a must. Everyone needs socks, all the time. Marzipan fruits, too. Christmas would be incomplete without them. And the big double issue of your TV-listings magazine of choice. Perhaps a Blu-ray or a CD, if you’re so inclined. All of those things are lovely gifts to give your nearest and dearest. But chances are they’ll want something more. Something shiny and awesome and entertaining and fun. Something they’ll get years of use and enjoyment from. For more offers – and more home entertainment kit than you can possibly fit into your house, visit www.sevenoakssoundandvision.co.uk.